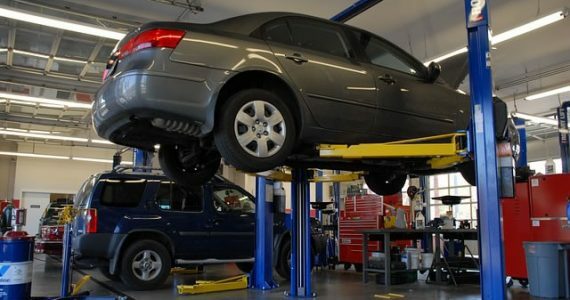 How to Choose Best Car Repairs Center for Your Car? What is tougher than deciding which car to buy? Knowing when and where to repair your car. Having spent considerable time in choosing a car that best fits your interest and desire. The next quick thing you need to do is to choose an ideal car expert, who understand your car in and out, as well the trouble it gives. Give the right time in choosing an expert just like the time you invested in buying a car. The next big thing you will end up spending some time is deciding whether to repair or trade it. Know when to trade or repair cars. Look at the following points to know more. Do you spend more on repairs? Watch out for rubber belts, hoses dry, and crack out. Sometimes, electrical appliance will also wear out. Dealers will sometimes recommend replacing water pumps and other drive belts. This can cost you from $100-$600. Are you tired of visiting repair shops often? How often do you go to the repair shop with your automotive? Some things aren’t repaired at all and some will need constant attention. 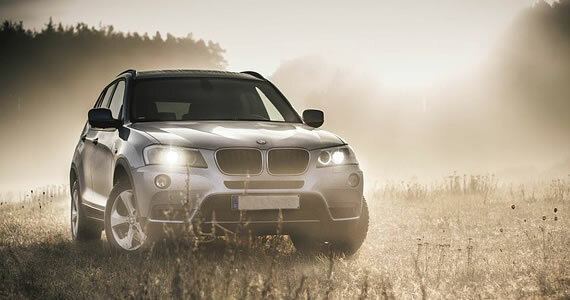 You will notice that your car does not perform well even under normal situations. There could be mileage issues despite your car service. It will underperform. When repairs cost you more than the car: This is the ideal reason to decide what to do. Do not compromise here. Your vehicle is always at a risk of a breakdown. New cars today are equipped with better safety features. They have airbags, side airbags, etc. The old cars lack these and they certainly could face many troubles in the long run. How to Choose a Repair Shop? Rely on recommendations. Ask people for their choice and other similar car owners and take a note of their suggestion. Make sure that the shop honors your vehicle’s warranty. Do a thorough search online. Look for the cheapest ones and the best deals. Go by brand names and see which workshop specializes in your car brand. See if the shop holds certifications. This certificate will include the declaration that all the technicians have the basic knowledge and competence. While money may be an important factor, do not compromise over quality. Remember, the most expensive one will not always guarantee the best service. So, price is not the ultimate deciding factor. The repair charge is sometimes inclusive of the labor cost. Otherwise, the bill is inclusive of the parts and the labor charge. If your dealer suggests expensive or complicated repairs try to get a second opinion too. Remember to enquire the shop on their rates. Some charge a flat rate for labor and others charge on the basis of the time technician spent on the repairing. Ask for a written estimate. The estimate should identify the problem to be solved. The parts needed and anticipated labor charge. Make sure that the shop gives you in written that they will not repair anything that is not mentioned in the estimate. The cost will depend on the car model, its year, and the type of service. Hence, choose early. Do not wait for the time your car will give you trouble. Look out and decide the best repair centre for you. Ask people and go by their choice if you find it genuine. This will ensure that you do not run around in the last minute for the help. The car troubles can be anything small to something extreme complex. Make sure to analyze this first. No matter how well you take care of your car, there will always be future repairs you’ll have to take care of one day. Your car’s parts will start to wear over time, and the process is inevitable. Luckily, you can do some things to try to prepare yourself for a future costly event. The following are four tips can help you avoid a huge expense down the road and keep your car running smoothly. The alternator death is a very common problem in cars. The alternator is that nifty looking, and extremely heavy generator that handles the way the energy flows. Sometime after 100,000 miles, you will have flickering lights, slow power windows, and eventually no start. Start pricing alternators now so you can be ready when the day comes. You have many options for finding alternators. You don’t necessarily have to buy a brand new one. Junk yards, online auction sites, and discount auto parts stores may have what you need. Just ensure that you get a warranty on the alternator in case it doesn’t work. 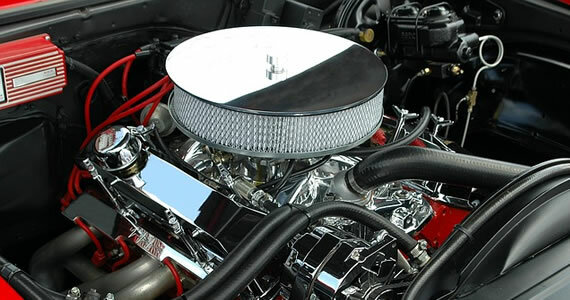 Your serpentine belt controls many components underneath your hood such as your alternator, water pump, air conditioner, power steering, and the like. If your belt snaps, you won’t be going anywhere for a while. Fortunately, serpentine belts are not that expensive, and the replacement time is not painstaking. You can purchase the tools and the belt and keep them in the back of your car for when this incident occurs. Gasket wear is something else that can happen over time. 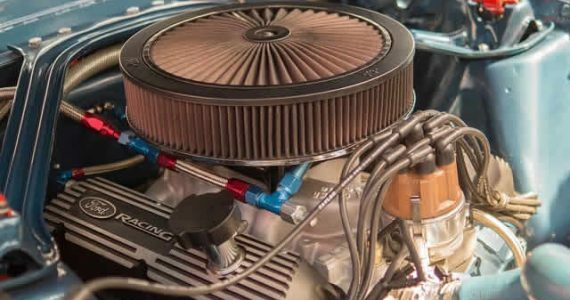 You may develop a leak in your valve cover gaskets, intake manifold gasket, head gasket and so on. None of those situations is desirable, but all of them are common. Use high-mileage oil and some gasket-sealing additives that can help keep your gaskets tight when your car gets old. Overheating will most likely occur at least once while you have your car. The most common culprits are wacky thermostats and water pumps. You can get a thermostat for less than the price of a pair of shoes. It would be wise to keep one in the trunk along with some tools. Be sure to locate and save the number to a car collision and repair center. You never know when an accident or a fender bender will occur and you can save yourself time and money by researching and finding a good provider now. Places like Chehalis Collision Center will even rent you a car while yours is still in the shop. Follow these tips to extend the life of your car. You and your vehicle will be happy that you did. What do you do after you’ve been involved in a car accident? Besides hiring a good car accident lawyer in Austin, you have to think about getting your car fixed. Not all car accidents are catastrophic, and small crashes don’t typically cause a lot of mechanical harm to your car. However, body damage is probably unavoidable, and having a professional take a look at it can be costly. To make matters worse, if you’re one of the people out there who has a high deductible on your auto insurance, you may be paying for body work out of pocket. Thankfully, there are several kinds of auto body fixes you can do yourself with just a little cost. This is made possible thanks to the great touch-up kits now available, and a little bit of know-how. Here are five auto body fixes you can do at home! Whether it’s a fender bender or a car door bump, dents are some of the most common auto body problems. Fortunately, this is something you can fix with the right tools. To fix an auto body dent, you will need: automotive primer, sandpaper, body filler, spot putty, ridge and flexible plastic spreaders, and a bit of patience. Start by using your sandpaper to remove loose paint since body filler doesn’t stick well to paint. Now, apply your body filler, following the instructions on the container and using the spreaders to smooth it out. Once dry, take off the rough edges using sandpaper. Afterward, apply the soft putty, and sandpaper it smooth once it dries. Last but not least, apply the automotive primer in light coats. Now it’s ready paint! If you have a light scratch on your car, there’s no need to take it to a professional. There are numerous easy-to-use, touch-up pens that stores sell for all kinds of automobiles. While some of the cheaper ones don’t work great, mid- to high-quality scratch removers do a great job of matching your automotive paint. Keep in mind that these pens generally don’t work on deep scratches. A scratch that shows the underlying metal is a deep scratch. Try running your fingernail over the scratch, if it catches, it’s probably too deep for a do-it-yourself paint job. Two areas of the car that typically break during accidents are the headlight and taillight covers. Replacing a broken light cover is easier than you think, and can be done in just a few minutes. All you need to do is find a replacement cover from an auto supply store, junk yard, or online store. These covers are typically screwed on and can be easily removed by opening the hood or trunk of your car to gain access to the screws. Just be sure to remove the cover with caution because there could be sharp pieces that could cut you. In the event that you have to take your car into an automotive shop for repair, remember you can still save money by doing some of the work yourself. One of the biggest things that auto body shops charge for is the removal and re-installation of body trim. Removing things like bumpers, door handles, and mirrors is easy. Just check that removing some of the trim doesn’t violate any local laws first. You can find replacements at scrap yards and simply install new ones that fit. While not typically caused by car accidents, rust removal is still an auto body fix you can do yourself. Stores sell products that can help remove rust, but you can also make your own rust remover by using salt and lime juice. Sometimes even baking soda and water removes rust from cars. Simply apply to the end of a toothbrush and start scrubbing. Any auto body work you can do yourself is a good thing. Keep in mind that some work is simply too in-depth to be considered for a DIY project. If you don’t feel confident you can do the work yourself, contact a local repair shop to get an estimate. 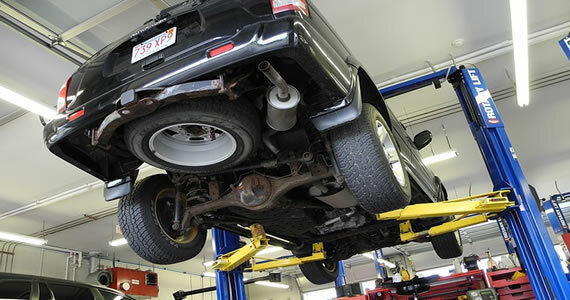 Most auto centers will provide a free estimate if you bring in your car.